30.09.2013. 81 companies have received and produced the highest amounts of grapes for decades, according to the Agriculture Ministry: 80.097,6 tons of grapes have already been processed this season. Last year, the number was 52 000 tons. 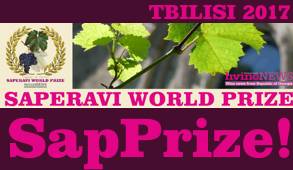 Of saperavi, one of the most popular grape varieties in Georgia, 25.570,8 tons had been processed by September 29, followed by rkatsiteli – 51.660,6 tons, mtsvane kakhuri – 1.406 tons and other species – 1.406,2 tons. According to the Agriculture Ministry, 79 out of 81 companies are private. The two state owned ones - Gruzvinpromi Ltd and Akura Ltd - account for 15 percent of the total production. They purchased and processed 12.479,6 tons of grapes this year. Last year, the state purchased and processed 65 percent of grapes, according to ministry's figures. The maximum price of saperavi grapes this year is GEL 2.10 (USD 1.26), which is the variety most in demand. 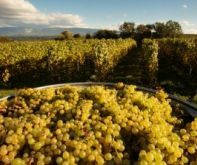 The ministry informs that the private sector is not quite interested in the white grapes from Signaghi and Lagodeghi, and therefore the state companies purchased most of these. The saperavi harvest is now over. Daily processing of the variety is about 30-40 tons, and production is still continuing. 27.09.2013. While the village of Zegaani, located in the wine-producing region of Kakheti, enjoyed the Festival of the Harvest on September 21, the Tatulashvili family hosted a group of journalists at the Chateau Zegaani estate. The Tatulashvilis presented their wines and shared an interesting story about the Chateau and their future plans. As one of the oldest wine estates in Georgia, Chateau Zegaani was built in 1820. At that time, it belonged to Prince Alexander Chavchavadze of Georgia. His trip to France left a great impression on the Prince; while abroad he witnessed a new culture of wine creation. Upon returning home, he decided to create an estate in the form of the 19th century French Chateaux. So his contribution to the development of Georgian wine-making is immense. 26.09.2013 (Hvino News). 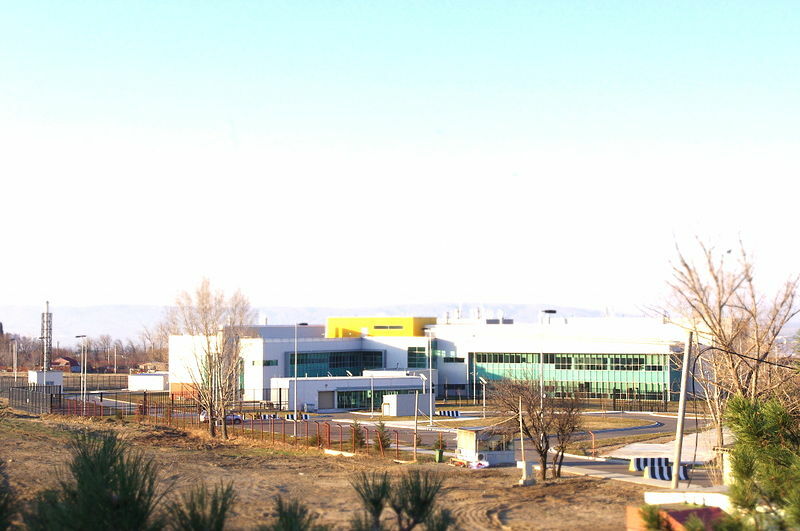 Georgia is ready to open the Richard G. Lugar Center for Public Health Research (known as Lugar biolab) to the Russian experts. The head of the National Wine Agency, Levan Davitashvili, commented on the recent statement by Russia's chief sanitary officer, Gennady Onishchenko. "We are completely open and ready for the experts to come and view the current activity at the lab. 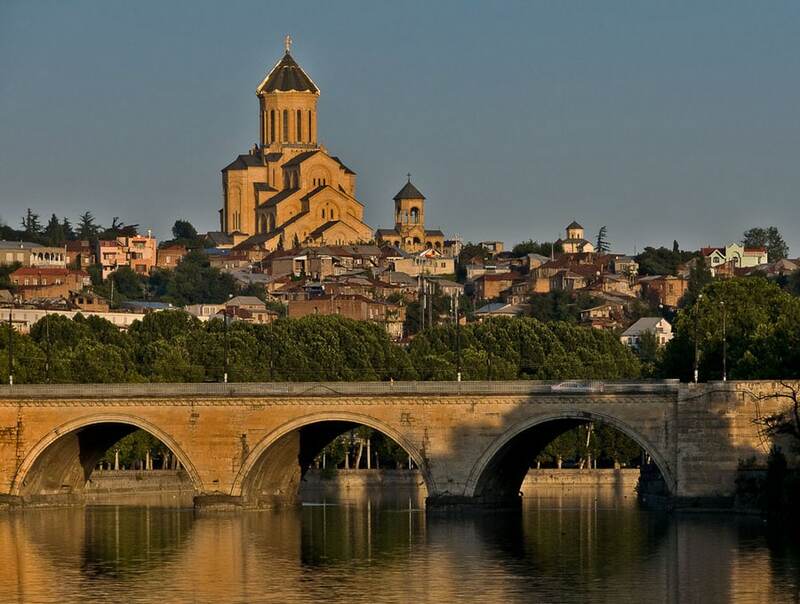 There is nothing secret," - said Davitashvili. 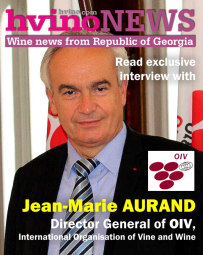 As for the return of Georgian wine to the Russian market, the head of the National Wine Agency estimates that this process is being consistently going on. "We have the normal mode of communication with the Russian side," - said Davitashvili. 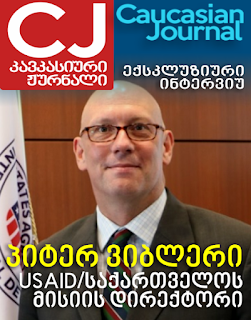 Mr. Onishchenko said that functioning of the U.S. microbiological laboratory on the Georgian territory seriously hampers the establishment of the trust with Georgia. 24.09.2013 (Hvino News). Australian media reports that "little-known red wine variety named Saperavi from the Granite Belt has won Champion Wine at this year's Queensland wine awards". The grapes originally come from Georgia and when translated Saperavi means 'paint' or 'dye' which reflects the way the wine coats the glass with a deep red colour, Australian ABC agency reports. 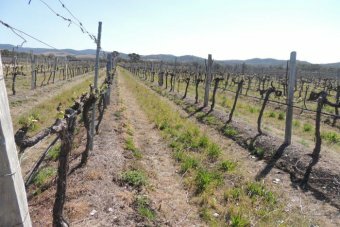 Ballandean Estate in Southern Queensland planted the Saperavi grapes six years ago but have not yet sold a bottle of the wine. Ballandean Estate winemaker Dylan Rhymer nearly didn't enter the wine into the competition because he didn't think it was ready. "The judges were glad they got to see the wine in its youth so as the wine ages it will be interesting to see what happens." It's a wine that likes cool climates and given it's a loose bunch the grapes at Ballandean Estate haven't suffered much disease pressure. The winery's viticulturalist Angelo Puglisi won Viticulturalist of the Year and Dylan Rhymer won Winemaker of the Year for Queensland. 24.03.2013. Georgia became the active member of the International Sommeliers Association. The agreement was signed by president of the National Wine Agency Levan Davitashvili, president of the Association of Georgian Sommeliers Shalva Khetsuriani, and presidents of sommelier associations of Ukraine, Latvia, Russia, Lithuania, and Estonia. The purpose of the memorandum is to promote cooperation between the sommelier associations of different countries. According to Levan Davitashvili, it will broaden international recognition of Georgian wines, spirits and food in general. "Guests are in Georgia as part of a three-day tour. They familiarized themselves with the culture of Georgian wine and other national traditions. The purpose of the event is to popularize Georgian wines. The countries that signed the memorandum will continue to actively conduct marketing activities and cultural events," Mr. Davitashvili said. 23.09.2013. White wine is a regrettable modern amalgamation, unheard of until the tail end of the 19th century. If you’re familiar with winemaking, perhaps you still have this scene in your head: Peasants picking baskets of grapes, throwing them one bushel at a time into a large, knee-high vat. Workers there press the grapes with their feet and the juice trickles out of a spigot and into a barrel where it can be fermented and then bottled. The construction of a modern white wine bears zero resemblance to this vision. Grapes are typically mechanically picked, separated from their skins, seeds and stems in gigantic hoppers, and then fermented in large stainless steel tanks — only after being filtered through microscopic filters that remove every impurity that might make this batch different from the last. After a quick breakfast at Chateau Mere, we were on our way to the first of four Georgian wineries. Kindzmarauli Marani is a winery with a large vineyard “library” of well maintained grapevines. Currently the vineyard has 420 grape varieties that can be found in Georgia. In addition to producing wines, the winery also make chacha also known as grappa. Khareba was our next stop. This large winery is also an agritourism site. The winery is known for its long tunnels lined with aging wines as well as a restaurant. Visitors can visit the 5th floor that offers distant views of the vista. After stopping at one of Ilia Lake’s newest hotels Royal Batoni for lunch on a deck overlooking Ilia Lake, we went on to our third winery of the day. Badagoni winery produces 4,000,000 bottles of wine. In order to produce this they use their 400 hectares of vineyards and source grapes from other Georgian grape growers. The name Badagoni is for the ancient god of wine and winemaking in ancient Georgia. 18.09.2013. While Georgian wine has returned to the Russian market, a ban was announced for Moldovan wines. The Moldovan wine held around 10-12% of the Russian market, so, presumably, Georgia will take this segment of the Russian wine market. However, this will not be the only substitute because Georgian wine is more expensive than Moldavian wine. The average price of Moldovan wine is 2 USD, while a bottle of Georgian wine is 3.5 USD. Some believe this Russian step was made based on Moldova's decision to shun the Russian Customs Union in favor of EU integration. Moscow often uses this form of punishment against its "disobedient" partners. 75% of Georgian wine was being exported to Russia before the embargo was imposed. Because of this embargo, Georgia had to look for new markets. 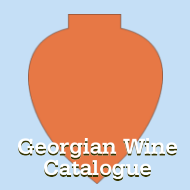 Georgia slowly took steps by exploring Ukrainian, Chinese, Kazakh, and other wine markets. Since Georgian wine has returned to Russia, it enters the market carrying a higher price tag because the quality of Georgian wine has improved. The Georgian wines are now regaining their reputation in Russia. 17.09.2013 (Hvino News). According to head Levan Davitashvili, head of Georgian National Wine Agency, the Russian sanitary experts yesterday started their week-long visit to check about 30 Georgia's manufacturers of alcoholic drinks and mineral water, starting in Adjara and continuing in Batumi, including regions of Racha, Shida Kartli and Kakheti. Mr. Davitashvili added that the inspectors are supposed to visit about 20 wine-makers, five mineral water-makers and two beer companies. Minister: "This year's vintage will be organized through a completely new approach"
17.09.2013 (Hvino News) According to Agriculture Minister, Shalva Pipia, the Georgian wine export has increased by 43%. The Minister was talking about this at the press conference in the framework of project "Georgia’s Government for Open Governance". "If we compare the data of 7 months during January-July interval, 2012 and 2013, wine export is 43% above than the data of the same period in 2012," - said Shalva Pipia. According to him, as of September 5, the Georgian wine export reached 22, 243 974 bottles. Export was carried out to 42 countries, out of which 7 300 000 bottles of wine were sent to Russia. The Minister also spoke about the ongoing vintage. He explained that this year's vintage would be organized through a completely new approach, enabling the farmers to deliver grapes with significant governmental support for the long-term development. Our second day in Georgia was as great as our first day. Our driver and our guide, Tamta, from the Georgia National Wine Agency took us to the outskirts of Tbilisi. Our first stop was in Mtskheta, at the Svetitskhoveli Cathedral, a cathedral originally built in the 4th century. Inside, the cathedral had numerous images of saints and religious symbols. For the faithful it offers a place to pray and verify our Christian faith. The first cathedral was built of wood and later replaced with stone. A special glass enclosed case has a relic of St. Andrew. Before long we visited a boutique winery only a five-minute walk from the Cathedral. The winemaker George Barisashvili produces wine in qvevris. Currently as of this year he does not sell his wines, however; he is adding another qvevri and plans to begin selling wines. His tasting room is tiny and cozy. Chairs are three-legged stools. We enjoyed tasting the qvevri wine followed by a brandy that he produces only for his own use. 15.09.2013 (Hvino News) Yesterday Georgian wine expo started at the bank of river Ljubljanica in Ljubljana, Slovenia. Aleksandre Chkuaseli, acting ambassador of Georgia in Slovenia, said that by the initiative of the mayor of Ljubljana, wine expos of EuroBasket participant countries started in the city. On 14 September this event started with a two-day expo of Georgian and Spanish wine. Other participant countries of EuroBasket will join the expo in the next days. Georgian wine expo is held with the support of Georgian Embassy. Wine tasting is free. Ljubljana is twinned with Tbilisi since 1977. Aleksandre Chkuaseli, acting ambassador of Georgia in Slovenia, said that Slovenians really like Georgia, and many of them feel sorry for the Georgian national team that they could not make through to the next round. After the preliminary round of EuroBasket 2013, which was played in four venues across Slovenia, the tournament is now moving to Ljubljana, which will host the second round featuring 12 best European basketball nations. 12.09.2013. On Monday, we arrived in Tbilisi, Georgia at 4am. A driver met us at the airport and transported us to the Radisson Hotel. Quickly falling asleep we awoke for breakfast at 9am. 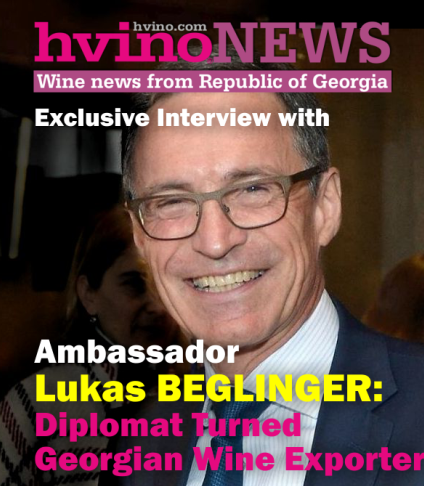 Our first winery in Georgia was Tbilivino followed by Bagrationi 1882. The breakfast at the Radisson was great. The buffet and had a large choice of fruits, meats, fish, cereals and breads. Later on the way to the wineries, I noticed that while the traffic was lighter than in some major world cities, they seemed to have a mind of their own in terms of merging with traffic and lane changing. At times it seemed like an intricate dance of cars. I was glad we had a great driver who knew the local traffic customs. Our first winery we visited was Tbilivino where we needed to go through strong security to gain entrance to the parking area. We were met at the door of the facility where we began our tour just inside in large room with marble floors. We viewed the modern winemaking technology used to produce the wines followed by the tank room and barrel rooms. We went to a room on the second floor where we enjoyed tasting five wines including two that were made using the traditional qvevri. After we left Tbilivino it was not long before we arrived at our next winery Bagrationi 1882. 11.09.2013 (Hvino News) Third team of Russian experts from Russian consumer protection agency Rospotrebnadzor are coming to Georgia on September 16 to check the quality of wine and mineral water. The experts will inspect will check Georgian wine and mineral water companies that have not already been approved for export to Russia. Among the 30 companies there are five mineral water companies, the rest are wine and beer manufacturers. The visit will last one week, and the experts will visit production facilities in the regions Racha, Adjara, Kartli and Kakheti. Levan Davitashvili, head of the Georgian wine agency, said that four mineral water companies and 65 alcohol producing companies have so far been approved by Russia. According to Rospotrebnadzor, 14 companies out of 34 have exported four million liters of alcohol to Russia in 2013. After the change of government in Georgia in 2012, the two parties started talks to renew export of Georgian wine and mineral water to Russia after the 7-years' embargo. 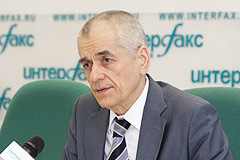 Rospotrebnadzor's head Gennady Onishchenko confirmed the third phase of inspection would begin on September 16th. The group of five Russian experts will arrive in Georgia to inspect sanitation norms and product quality in five mineral water companies, two breweries and about twenty wineries. At the same time, Onishchenko is still worried about the US-financed biological laboratory in Georgia. 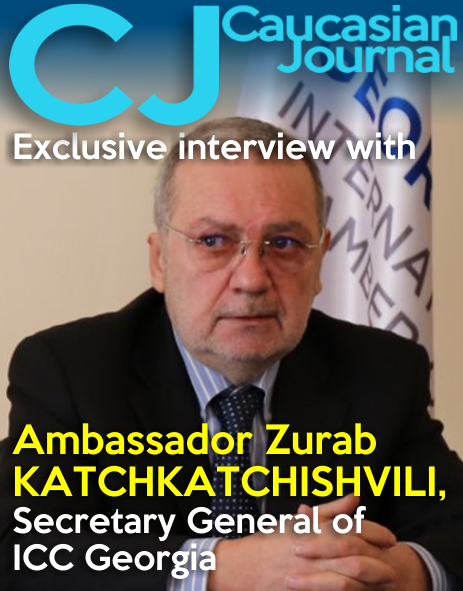 He said the operation of Lugar Lab is a serious obstruction for the development of Georgia-Russia trade relations. Onishchenko says he is prepared to launch negotiations with Washington in this regard, saying the participation of Georgian side will be necessary in this process. 10.09.2013 (Hvino News). According to the Georgian Wine Agency total of 4,231,375 liters of wine (0.75-liter bottled) was exported to 36 countries in July, 2013. The overall export as of August amounts to 16,606,510 liters, being 64% compared to the same period of last year. Five leading export destinations of Georgian wine are as follows: Ukraine, Russia, Kazakhstan, Belarus and Poland, where Ukraine holds 35% of total volume of exports; China and Latvia being on 6th and 7th places in volumes respectively. Export to Russia as of August 2013 was 4,495,000 liters. 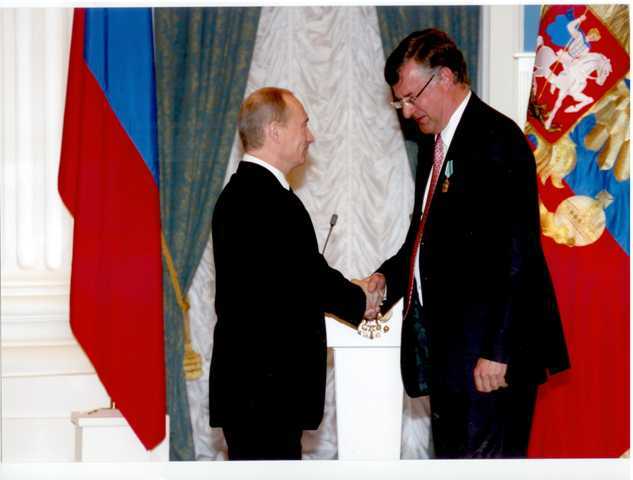 08.09.2013 (Hvino News) Russian investors are mulling a possibility to build wine enterprises in Georgia, Russian news agency Interfax reported on Saturday citing Georgy Seturidze, head of Center for Georgian-Russian Economic Cooperation. "There exist several large investment projects the work on which is almost completed. As for now, I know that two Russian private companies plan to invest dozens of millions on the Georgian wine industry," Seturidze said. He, however, did not name the companies that intend to invest in Georgia's wine industry. The Center for Georgian-Russian Economic Cooperation is an NGO set up in Tbilisi in 2012 in order to restore and develop Georgian-Russian economic relations. There are no diplomatic relations between Georgia and Russia. 06.09.2013 (Hvino News) Georgia has completed registration procedures of the appellation of origin of Georgian mineral water Borjomi in the United States. In accordance with the US law, Borjomi was registered as a certification mark in the name of Sakpatenti, Georgia's governmental patent agency. Appropriate Certificate of Registration of Borjomi was issued, Sakpatenti's official site reports. United States Patent and Trademark Office (USPTO) has already issued registration certificates for the following 12 appellations of origin of Georgian wines: Khvanchkara, Kinzmarauli, Tsinandali, Akhasheni, Kvareli, Manavi, Teliani, Gurjaani, Kakhuri, Mukuzani, Tvishi, Vazisubani. By virtue of this registration Georgia will have an exclusive right on the Georgian appellations of origin, determine the authorized entities who may lawfully use them as well as forbid the misuse of the given certification mark in the US. 03.09.2013 (Hvino News). Experts of Rospotrebnadzor (Russian Federal Service for Supervision of Consumer Rights Protection and Human Welfare) are ready to visit Georgian enterprises willing to export drinks to Russia. Agency's head Gennady Onishchenko said the group was already staffed and prepared to visit the companies, which have applied to the Russian side for import licenses. He also added that Georgian business was failing in Russia without the support of their government. He said only 14 wine companies succeeded in getting to Russian market out of 65 companies which applied. 01.09.2013 (Hvino News). President of Georgia Mikheil Saakashvili considers opening Russian market to Georgian wine as a huge threat. As Saakashvili said at the wine festival in Ambrolauri on Saturday, Russian market demands cheap wine, while Georgian unique wines cost 100 - 200 US dollars on the world market "like the best Italian wines". He says that Russian market is a trap for Georgian wine. “The threat is that Russian market may be a trap in long-term, and we don’t have the brand protection. To my knowledge, the whole industry has been activated to provide cheap wine to the Russian supermarkets. This wine can’t be cheap!” - the president stated. "At what price should we sell wine in Russia? 8 dollars? If you sell Khvanchkara for $ 8, here it should be worth $ 2. But Khvanchkara at this price range does not exist in nature. We really are facing a great threat "- the president warned. Saakashvili said that Americans are investing in returning Georgian traditional wines to Georgian agriculture. “It’s a lie when Russians say that Americans are destroyers and that they ruin our culture. Here is the American woman who helped us in developing Georgian traditional vine species and Georgian wine-making”, Saakashvili said.